The Advisory Memo will serve as an important educational tool to help alleviate confusion in all sectors of the barter industry regarding what assets and liabilities pertain to the managing exchange and what assets and liabilities are part of the members’ system collectively. The memo also provides guidance on the proper IRS information reporting required when a trade exchange member has defaulted on their negative trade balance. Cindy Vassilowitch, CPA, EA, MST. 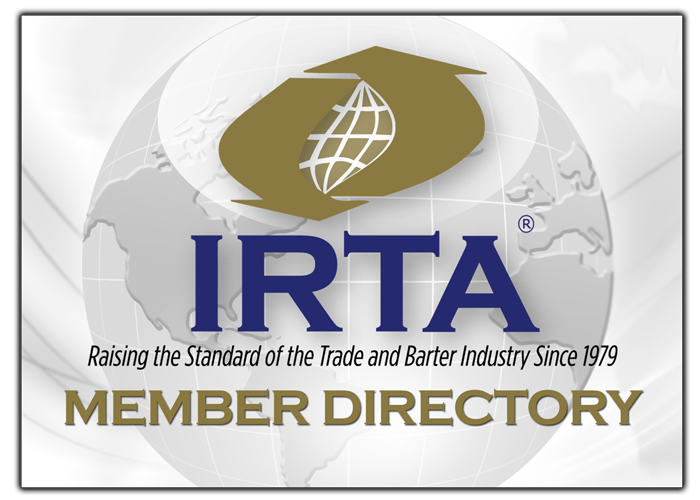 Click on the links below to read IRTA’s new Advisory Memo. John Strabley, Annette Riggs, Mary Ellen Rosinski, Paul Bolte and Ron Whitney. If you have any questions, or have additional input on the topic, please contact IRTA’s President & CEO, Ron Whitney at ron@irta.com or 757-393-2292.